What are the things the CEO of the world’s second largest mining company is worried about? What is Vale’s CEO Roger Agnelli doing to catch up with BHP Billiton? What is on top of his “To Do”-list? An analysis of Vale’s latest annual and financial reports, investor presentations and the news about the company in the last months yields a list of 10 issues that are likely to be at the top of Agnelli’ list of priorities. The list holds strategic, operational, financial and relational activities, each of which are scored in terms of importance and urgency. Priority 1 on the list is trying to prevent BHP’s acquisition of PotashCorp. Priority 10 is managing breakthrough innovation of copper processing in Carajás. Read on for the full list of priorities. BHP Billiton has made a hostile $39bln acquisition offer for PotashCorp, thus following Vale’s move of entering the potash business as a diversified miner. However, the potential changes to the market and to potash pricing (currently controlled by regional cartels) are likely to make Vale’s potash assets uncompetitive. Although the company has denied being in talks with PotashCorp to find alternatives, Agnelli will certainly devote a large portion of his time to finding a response to BHP’s offer. Vale has grown rapidly partly because of a large number of acquisitions. Insiders comment that many of the acquired companies have never been integrated completely, creating operational inefficiencies and a lack of corporate culture. To sustain growth, Agnelli will be working hard on realizing the synergies from acquisitions by building global businesses. Part of this assignment is the carve-out of the aluminium business, which has been sold to Norsk Hydro this year. 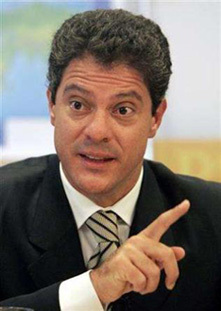 Brazil will elect a new president, senate and governors on October 3rd 2010. Both economic policy and environmental policy on federal and state level could be impacted significantly by election results. Agnelli is certainly developing scenarios to react on post-election regulatory changes. The company has traditionally grown by M&A, but is currently guarding its gearing carefully. However, in order to enable further acquisitions, Agnelli will be discussing increasing the gearing and accessing debt with the new CFO Cavalcanti, who took over from Fabio Barbosa at the end of June, and banking partners. Compared to BHP Billiton and Rio Tinto, transportation distance poses a disadvantage to Vale in supplying iron ore to China. While Rio Tinto is creating strong ties with Chinese government via its partnerships with Chinalco, Vale will need to find alternative ways to improve relationships with clients and government in the country that is responsible for most of the growth in demand of its products. 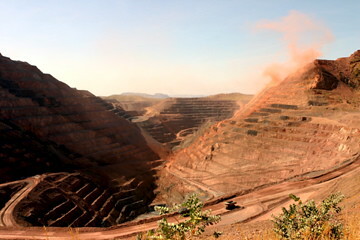 An important part of the growth of the iron ore production in the next decade should be coming from Guinea, where Vale will develop the Simandou South deposit. Vale will need to get infrastructure in place and start development soon in order to please the government, which recently took development rights away from Rio Tinto because the company was not proceeding fast enough. Growing the copper business unit and building a fertilizer business are two of the ways in which Vale tries to reduce its dependence on iron ore. Although the iron ore business is a star business with solid growth perspectives, the volatility caused by the dependence on one single commodity will worry Agnelli. Diversification into other business units is crucial for the long-term stability of the company. Although a lot of iron ore is shipped to China, Brazil is booming too. In order to produce steel for the domestic market, Vale needs to develop coal capacity in Latin America, which will require strategic acquisitions and targeted exploration. The board will need to prevent repetition of strikes like they experienced at Vale Inco during the last two years in Canada. Reviewing and improving international employee relations is both crucial for the company’s productivity and to improve the image in labor market, where Vale still has difficulties to attract international management talent. The company is trying to scale hydrometallurgical copper processing technology to commercial level in the Carajás UHC plant. Success in this project would have significant profit impact and would position Vale with the current deposits in development as one of the most competitive copper producers globally. What are the things the CEO of the world’s largest mining company is doing? What keeps BHP Billiton’s CEO Marius Kloppers awake at night? What are the categories of his “To Do”-list? An analysis of BHP Billiton’s latest annual & financial reports, investor presentations and the news about the company in the last months yields a list of 10 issues that are likely to be at the top of Kloppers’ list of priorities. The list holds strategic, operational, financial and relational activities, each of which are scored in terms of importance and urgency. Priority 1 on the list is the lobby on the new Australian mining tax. Priority 10 is improvement of the safety record of the company. Read on for the full list of priorities. The campaign against the super profits tax proposed by the Australian government is currently on top of the list of the CEO. Corporate profits are projected to decrease by over 15% if the proposal is implemented without changes. With BHPB’s strong balance sheet and the failed take-over of Rio Tinto in the back of the mind the company will be looking for acquisition targets. Growth by acquisitions should help the company to meet achieve positive growth again in 2010. There are rumours that the company is on the verge of announcing acquisitions in the petroleum business. The margin has taken a major hit in the past two years. Kloppers will need to show the shareholders he is able to restore the margin by cutting costs. Especially the aluminum and stainless steel metals business units will need to cut costs significantly. The iron ore project in Western Australia is by far the largest capital project of the company at this moment. The structure of a JV with Rio Tinto makes additional executive attention is required in order to align the operations and to ramp up production quickly. A significant part of BHP Billiton’s debt needs to be refinanced in the coming years. The companies strong balance sheet has helped it to achieve an “A” credit rating. Kloppers will be working hard with the Alex Vanselow, the CFO, to retain this favourable position. Fuel costs are the most important driver of costs in the mining industry. Having a strong petroleum business unit helps to hedge against the likely price increases of oil. BHP has six capital petroleum project in the execution phase (Turrum, Pyrenees and NWS North Rankin B being the largest). The CEO will keep a close watch on the development of these projects. The percentage of BHP Billiton’s sales related to steel making has increased in the past 5 years from approx. 50% to approx. 70%. Although this means the company is well positioned to benefit from China’s growth, it does pose a great risk of volatility. Kloppers will be looking for opportunities to strengthen the aluminium, base metals and diamond business to cover this risk. Don Argus has retired as chairman and Jac Nasser has started in this position. As the position of any CEO is subject of continuous questions, Kloppers will make sure he is aligning with the new chairman. BHP expects India to follow the growth trajectory of China. However, the current infrastructure of the company is not yet aligned with the large part of consumption of its goods in Asia. Kloppers will be working on strengthening the focus of both the supply chain and the marketing departments. In 2009 the company had 7 fatalities in its operations. Kloppers will be concerned about getting the safety at all operations at par. Public and legal opinion pressure the executives to undertake additional action.